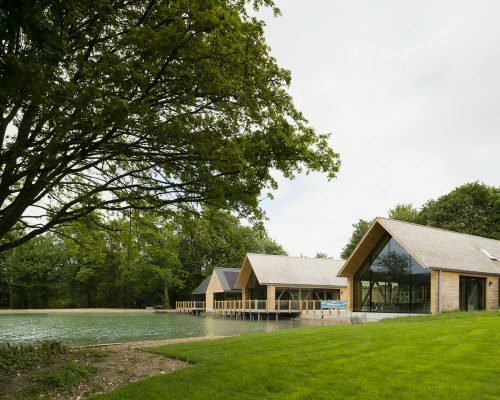 Weald & Downland Living Museum boasts a collection of over 50 vernacular buildings spanning 950 years, all rescued from destruction and re-erected in the Grade II* registered South Downs National Park. 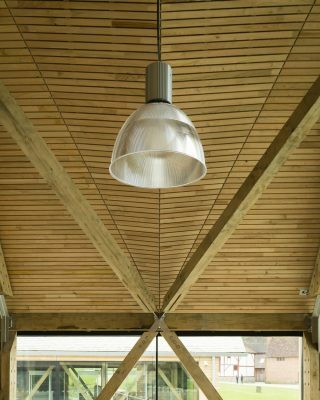 ABIR architects were commissioned to design a new 850sqm visitor centre consisting of retail, gallery, café and community spaces. 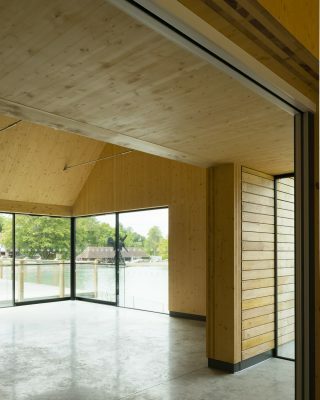 The design connects the Museum to two new clusters of buildings set either side of a central entrance court forming a transitional gateway. 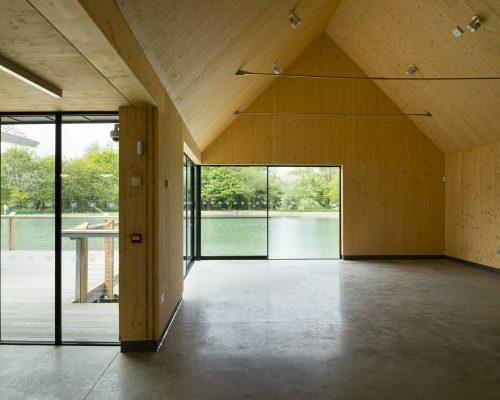 The buildings are designed to be entirely timber, consisting of two primary elements; Green Oak frame and cross laminated timber (CLT). 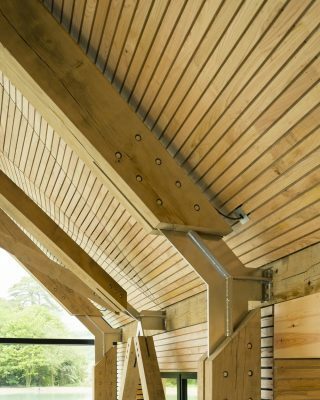 Other timber features include hand-cleft English chestnut roofing shakes, sweet chestnut cladding and natural wood-fibre insulation. 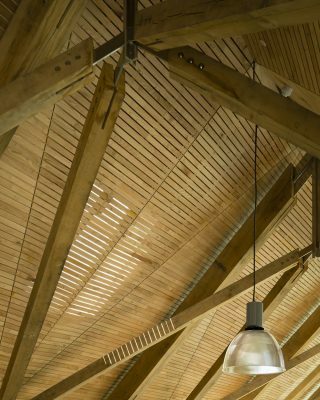 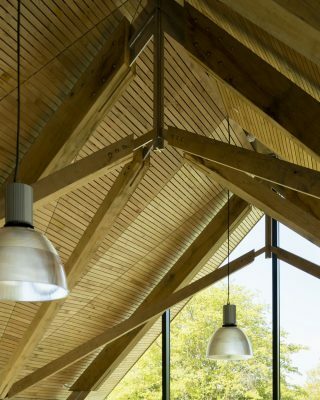 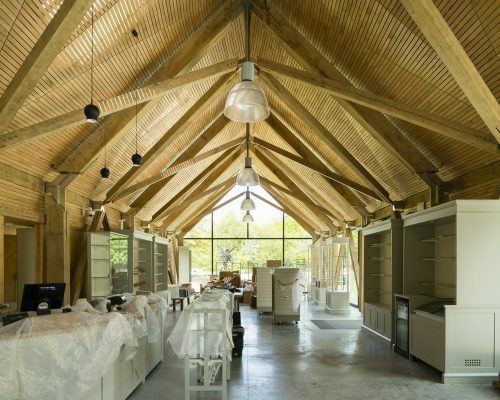 Internally, sweet chestnut battens have been used to create the undulating kite roof.